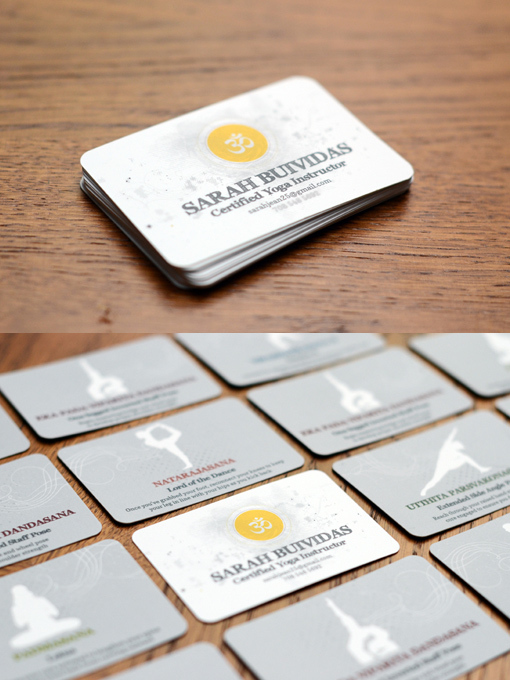 I designed these cards for a yoga instructor. There are 6 variations of the card, each with the same front and a different yoga pose on the back. Each pose includes the English name, the Sanskrit name, and a tip from the instructor.